The Japan-based developer and publisher Level-5 is best known by Nintendo fans for charming series like Professor Layton, Inazuma Eleven and in more recent times Yo-Kai Watch. Originally established in 1998, the company is now 20-years old. 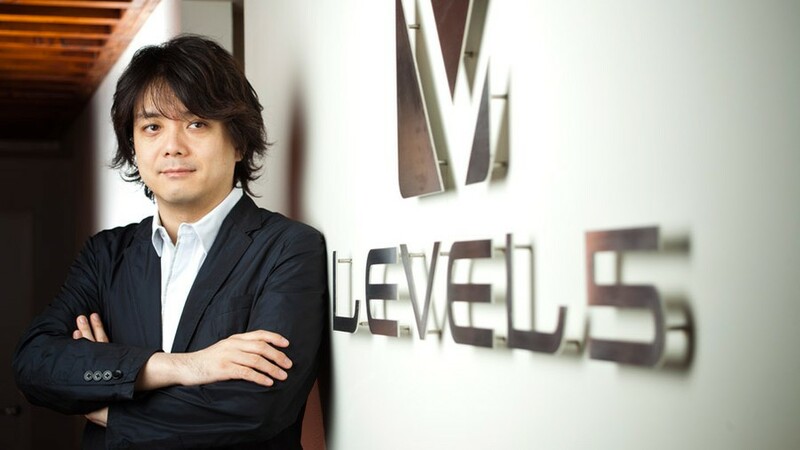 In celebration of Level-5's 20th anniversary, Famitsu is teasing an interview with the company's President Akihiro Hino in its next issue, due out on 25th October. According to the weekly Japanese publication, a "possible revival for a canceled title" is on the cards. There's no guarantee it would be a Nintendo-related announcement, but given Level-5's current relations with Nintendo and the fact Yo-Kai Watch 4 is due out exclusively on the Switch next year, there's a chance. Are you excited to find out what this possible revival could be? Are you a fan of Level-5's work? Do you like the look of the new Yo-Kai Watch on the Switch? Tell us in the comments below. It would be great for another Switch exclusive from Level 5, but even if it is not exclusive I would hope it would be on Switch. In my opinion, Level 5 are a very good (and often underrated) game developer. All the best for the next 20 years! I also hope for Ni No Kuni games to come to Switch as they would be perfect for the platform (but I know they aren’t what this announcement is about). Remember this game on year 2014 ? @neufel think Dark Cloud is partly owned by Sony, pretty sure Level 5 mentioned they have wanted to make a 3rd but couldn't without Sony approval and they haven't given it, that we know of. *Think it might be the case with Rogue Galaxy also, which means any revival would probably only be on PS anyway. Fantasy Life 2 would indeed make me happy.The first was an absolute joy to play on the 3ds. But I'd be happy with whatever it is.All their games are great ...although I can't comment on the Yokai Watch games as I have yet to try one. Please let it be Ushiro. @Kienda Ni no Kuni 1 & 2 on Switch would be great! Harry Potter created by Level-5 ?? Level 5 is 20 years old, they cancelled a game, they may or may not bring it back, they won't hint at a title or even the genre, just that they MIGHT make a game !!! waste of a whole page and two minutes of my time, even with all the cheap Styrofoam filler, couldn't even come up with more than a few sentences, damn, put some work into your work, not just keep posting reworded bits of wastefull info you find on Google. Fantasy Life 2 for Switch please! I liked Inazuma Eleven on the 3ds a lot. Fantasy life for the switch whould be awesome! On topic Fantasy Life would be awesome. Snack World Gold in the west would be nice. Also a proper sequel to Fantasy Life and having the Ni No Kuni series back on a Nintendo system would be good too. @jhewitt3476 while I agree most of the articles here lately have been low quality recently. You've only yourself to blame if you wasted your time and decided to click the article. How am I supposed to know if the article is a wasteful tripe if I don't give it a chance and try to read it ??? the title gave me hope to see what game they were going to put out. but bam, got here and got nothing. I'd say the writing on here is fine. Some of the comments I read daily though could certainly be considered both worthless and tripe. If people are unhappy with the writing there are plenty of other fan sites available same goes for people who complain daily about how much they hate the Switch there's other consoles out there no one is holding a gun to your head and forcing you to keep a Switch. Who cares? It’s a cancelled title.... I mean is it an interesting tidbit, sure, but nothing something that’s worth teasing like it’s some huge deal. They should host another GUILD series of smaller indie-style games. Some of those were real gems for me, like Attack of the Friday Monsters!, Crimson Shroud, Starship Damrey and Weapon Shop de Omasse. Maybe they dug up their old True Fantasy Live Online code from the original Xbox that was canned by MS and ported it over to Switch. @jhewitt3476 Yes because only the best news articles sum up its contents within a few short sentences so simple that a 3rd grader could pass it off as an English assignment. Never got around to playing Professor Layton games, what type of gameplay are they ??? @Supadav03 I believe the implication is that they will un-cancel the title, essentially making it a new game announcement. @Anti-Matter Wonderflick was the first game that popped into my head. Maybe they think it would do better on the Switch where they could offer both touchscreen and normal controls. Though Dark Cloud 3 would be good ascwell, I liked 1 and 2 was better in every way. @jhewitt3476 Well, you could start a games blog or pod cast to begin with. I’d read it if it was any good. If it was really good then the industry peeps may take notice and bang, you’re in! Passion for Change plus Talent is a receipt for success. I mean really, it seems like they got what little info they did from other public sources and just reworded and/or scrounged on Google for a tidbit, but then didn't bother to actually try and find out more. @jhewitt3476 I have to agree that the quality of the writing here has declined substantially in recent months. I really just come here for the comment sections now and rarely do more than skim the few sentences they squeeze out of whatever insignificant news they see on reddit. That’s just my opinion. If it was something previously cancelled, it's not going to be a port of something that was already released elsewhere. So the only thing I can think of is True Fantasy Online, unless there was a cancelled White Knight game at some point (though I don't think there was). I think I'm the only one expecting it to be an LBX game haha. Come ooooooon True Fantasy Live Online! ...They really need to try and give Strikers another chance. Even though I didn't stay into it back then, I wouldn't mind giving it another go. Please be Fantasy Life 2 for Switch! I, too, am extremely tired of these click-baity articles. As is usual on NL over the last year, I see a lot of words...that that say very little, if anything meaningful or newsworthy. Even worse is how the writers are generally talking down their readers. It's almost an insult of our intelligence to be shown nothing with such great - bordering on immature - enthusiasm. And don't even get me started on the cringy italicized paragraphs tacked on the end that are always forced and demeaning. NL assumes that their readers aren't intelligent enough to read through an article and then - on their own - come up with comments without first being asked a number of totally inane questions. It's especially cringy on articles like this one - where almost nothing was said - and yet they're still scraping the bottom of the barrel, pretending like there's anything to discuss. I hate even complaining about this, but it's hard not to. This site has gone from being a serious-yet-still charming source for Nintendo news (remember the amazing sub-headline puns?) to being site being almost entirely dedicated to getting comments and clicks, presumably for the sake of increasing ad revenue. It's all business - and that "business" has apparently come at the cost of both quality and integrity. Lots of fluff articles, inflated reviews, and - in many cases - news that's old before it's even reported. Many of the reviews seem biased, and surprisingly deficient in vital information that could inform a customer of what sort of gameplay they might expect before making a purchase. I'm just very disappointed. I wish there was another Nintendo-only site as active and as easy to navigate as this one, but, I've yet to find one with a community as large as this one. This basically means that NL's large readership is being taken for granted and - more and more - we're being forced to endure articles like this one. I can't help put to blame this on Dom's leadership - or lack thereof. It's totally unacceptable. Get it together, guys. It has to be a game with that airplane which I recall was voted the most popular Level-5 character years ago! Fantasy Life 2 was not cancelled, folks. It released on mobile in Japan recently and was renamed Fantasy Life Online. My vote is My Fantasy Life Live Online. @MarkyVigoroth Came here to post this. Does Comcept count? Because I was torn when that game got cancelled. to be fair to NL i just think game news is thin on the ground at the moment, it's been a very weak year from Nintendo in terms of the games. yes i agree this article is a perfect example of nothingness but clearly this site is not famitsu or in favour with Nintendo, they seem to have to live off the scraps of the real industry insiders. lots of slow news days recently and the videos are even worse in terms of meaningless guff but again i don't think NL has a lot else to write about! plus they need to make money at the end of the day so clickbait and affiliate link heavy articles are a must for them. Let me add my voice to the chorus and say that a Fantasy Life sequel for Switch would be a dream come true. @Tuulenpoika this is the most likely option, especially since everyone else in this comments section doesn't seem to understand what "cancelled game" means. I'd love to see Ushiro see the light of day, as the gameplay looks hauntingly intriguing. @jhewitt3476 between the word “tease” in the headline and “what could it be?” in the sub-heading, I think it was pretty obvious that this article wasn’t going to confirm what the game was - if they knew the title would be “Factor 5 resurrecting Fantasy Life” or some such. The article exists mainly to spur on the debate and kickstart some conjecture, see what people would like to see. I read it knowing it would be pure speculation, and a genuine curiosity to see what games these guys have made that I don’t know about. I don’t think the quality of the writing on the site is the issue, I think it’s more that there is a growing number of articles that are pure conjecture based on the smallest of teases. It is borderline clickbait, but at the same time you can guarantee that someone will complain that they’re not doing their job if they don’t inform us readers of every little titbit of potentially relevant info. And we all feed into it. Here’s a thought out of curiosity would it be possible if they would revive that canceled game before Kaio King of pirates. It looks like it’ll have potential for a successful series. I may not know why they canceled it due to development problems or other thing but if they would to find a solution and use that to tackle the problem to begin than maybe they could manage to make the game without any problems, also if they couldn’t do it on the 3ds than why not the switch? It would has more open possibilities than before.